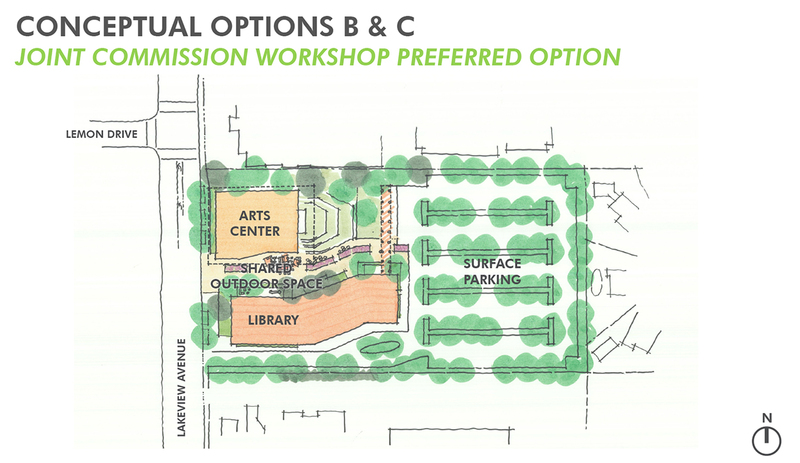 The planning and development of the future Yorba Linda Public Library and Arts Center continues to move forward. The survey is now closed, but we want to thank everyone who participated. 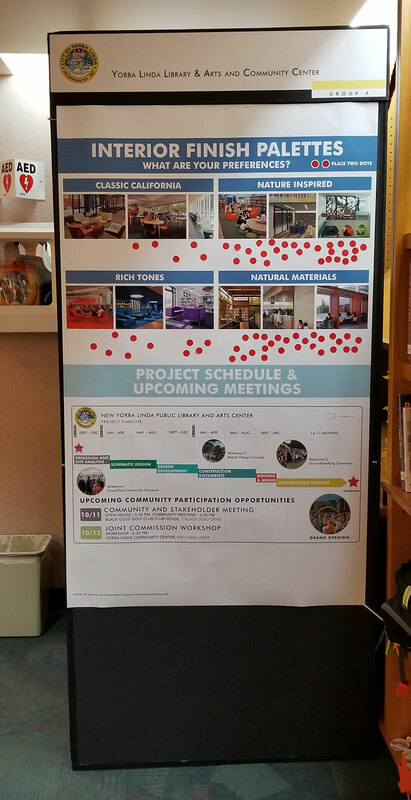 The Yorba Linda Public Library and Arts Center project is moving along at a nice pace and we are again at a point where we’d like your input. 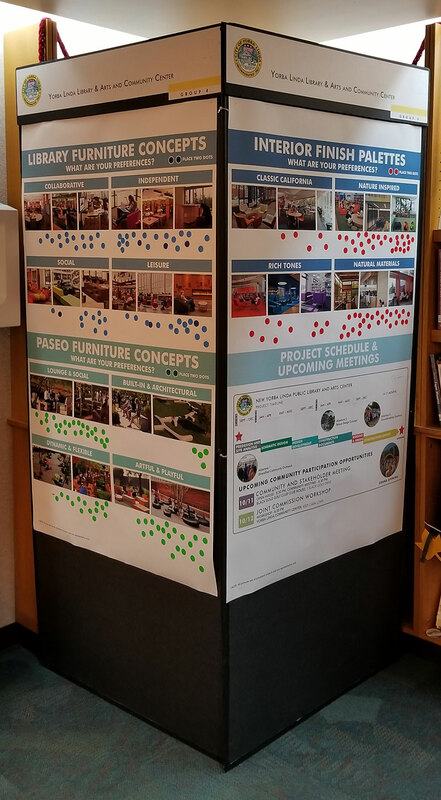 Similar to the first time, we are again inviting you stop by the Library or Community Center to add your thoughts to the kiosks that can be found near the service desks. Additionally, you can provide your input through this online survey. 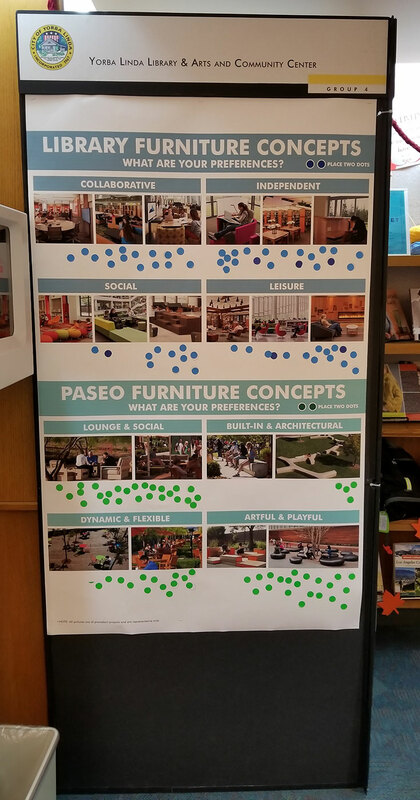 In this round of input, we would like to receive your thoughts on various design aspects of the project including paseo features, exterior accent materials, and interior design values. You’ll find a wide selection of design aspects to choose from. Lastly, we will also be hosting a community meeting this month. This will be held on Wednesday, April 19, 2017 at Travis Ranch School (Multipurpose Room), located at 5200 Via De La Escuela in Yorba Linda. The Open House (informal, drop-in) will begin at 5:30 p.m., followed by a Community Meeting lead by the project’s architects at 6:30 p.m. A Commission Workshop will be held on Thursday, April 20, 2017 at Black Gold Golf Club at 6:30 p.m. Download the flyer here. As we move forward with the planning and development of the new Yorba Linda Public Library and Arts Center, your input and feedback is an important element of the project. Recently, we invited you to take part through a survey both in-person and online. The survey is now closed, but we want to thank everyone who participated. As we enter into the next design phase of the project, there will be more opportunities to provide feedback. Check back for another survey that is coming soon!